This important work examines in detail and depth how, as a consequence of changing technologies, diet, patterns of reproduction, and work, relations between children and parents have altered.The editors and contributors hold that biosocial science is particularly relevant to research on human family systems and parenting behavior. The family is the universal social institution in which the care of children is based and the turf where cultural tradition, beliefs, and values are transmitted to the young as they fulfill their biological potential for growth, development and reproduction. The biosocial perspective takes into account the biological substratum and the social environment as critical co-determinants of behavior and pinpoints areas in which contemporary human parental behavior exhibits continuities with and departures from, patterns evident throughout history.This work crosses disciplinary lines without ignoring their relevance to the broader themes of the book. 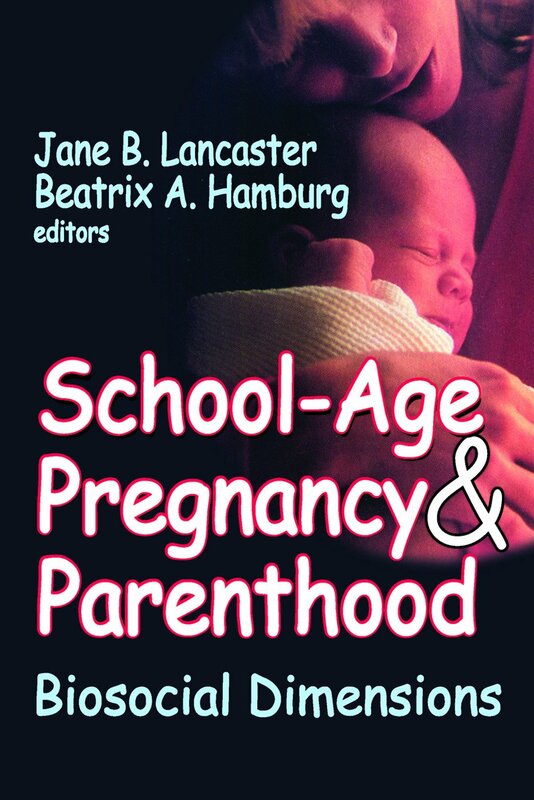 School age pregnancy and parenthood is a powerful anchor for the dissection of large scale issues. The contributors deal in turn with ethnic and historical experience, examine normative and ethical issues, and cast new light on methodological concerns. What the editors call culturally-defined responses to basic needs helps explain both dramatic improvements in this area, and how they expand the challenge of teen reproduction. Contributors emphasize new demands for training and education to research this growing phenomenon. The book contributes to humane concerns as well as the scientific imagination.